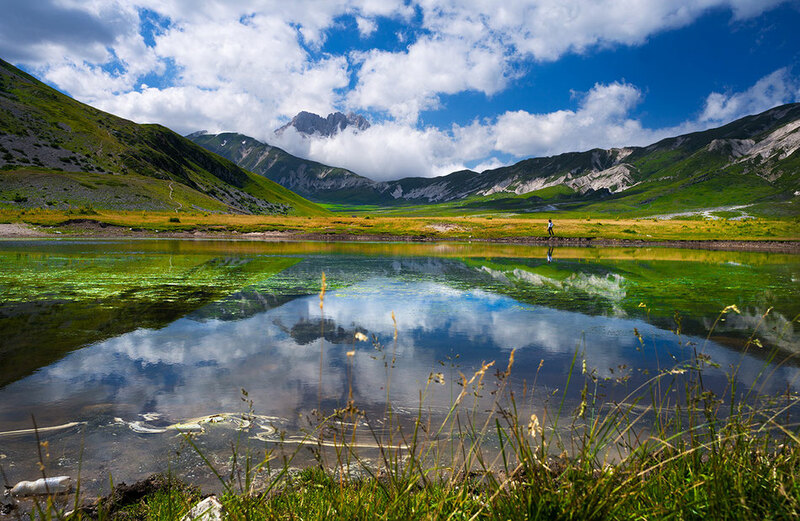 The Gran Sasso e Monti della Laga National Park, created in 1991, is the third largest national park in Italy. It lies primarily in Abruzzo (in the provinces of L’Aquila, Teramo and Pescara), and to a lesser extent in Lazio (Rieti province) and the Marche (Ascoli Piceno province). It has a surface area of about 201,400 ha, most of it mountainous. 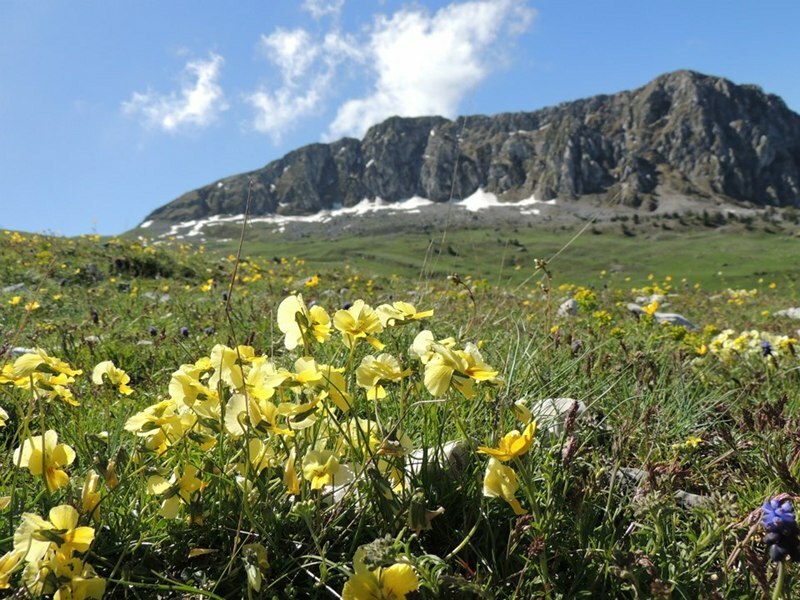 The area has recently gained in importance owing to the reintroduction of the Abruzzo chamois, the Apennine wolf and other species by the biologists of the Abruzzo National Park. The local environment suffered serious degradation during the excavation of the Gran Sasso tunnel and the construction of the underground scientific laboratories, which lowered the aquifer in the entire mountain system. The Monti della Laga sector is rich in flora. 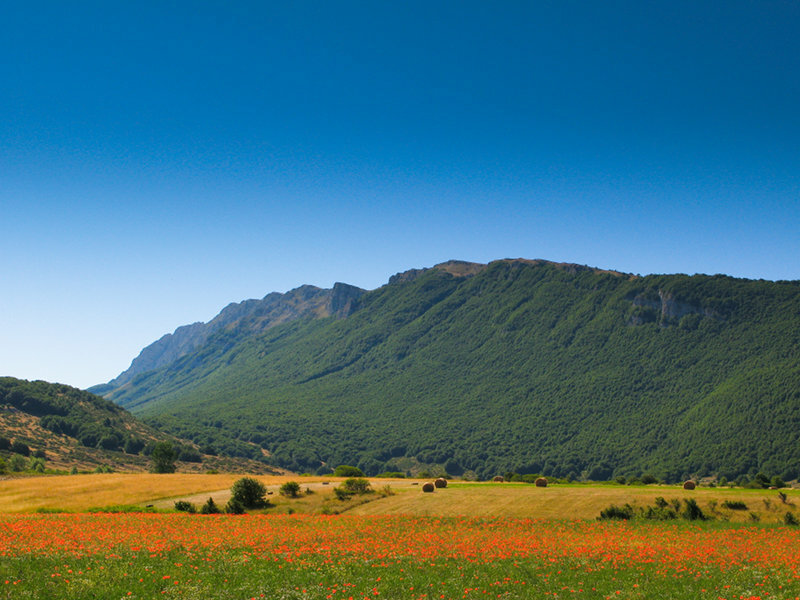 The park is crossed by a very scenic highway, the Strada Maestra del Parco, which was built along the divide between the Gran Sasso massif and the Monti della Laga chain, and connects the provinces of L’Aquila and Teramo. 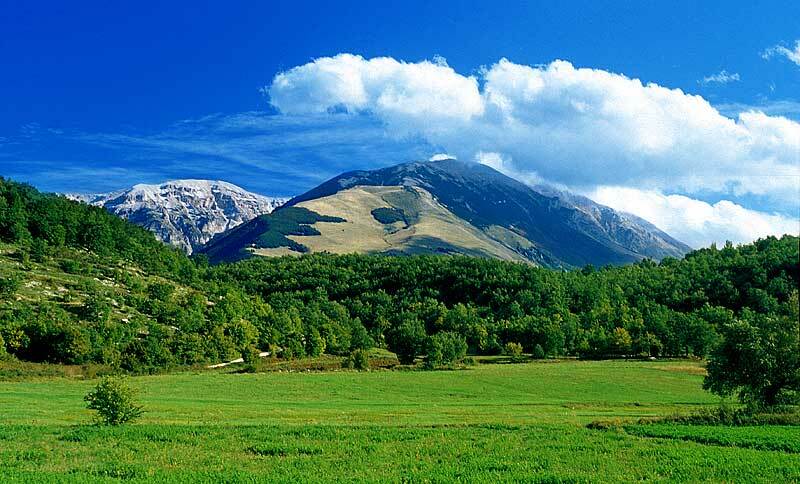 The National Park of Abruzzo, Latium and Molise was established in 1923. About three quarters of it is in the province of L’Aquila (Abruzzo), and the rest is in the provinces of Frosinone (Lazio) and Isernia (Molise). Its headquarters is in Pescasseroli. 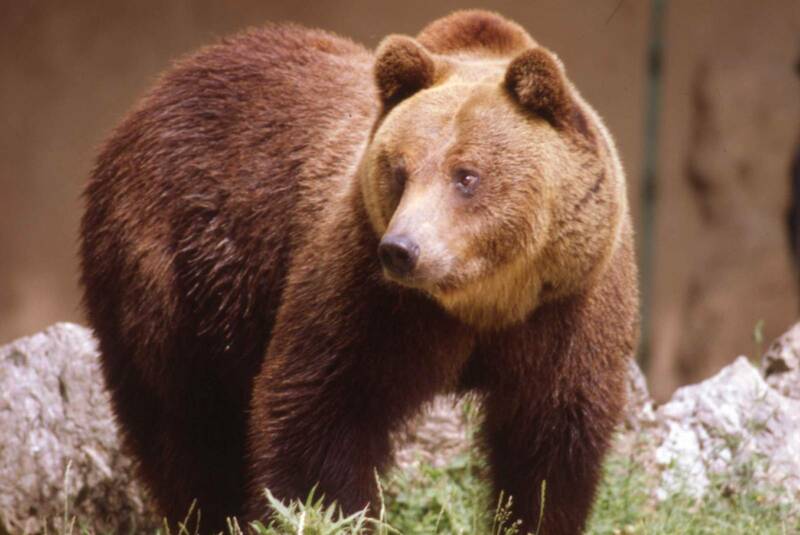 It is the oldest park in the Apennines, and has played an important role in the preservation of the wolf, the Abruzzo chamois and the Marsican brown bear, which are three of Italy’s most important wildlife species. The park is also home to deer, wild boar and the white-backed (Lilford) woodpecker. About two thirds of its surface is covered with beech forests, and at higher altitudes, in the scree, there are mugo pines, which are rare in the Apennines. There are also relict populations of Betula pendula, Cypripedium calceolus, Nigritella rubra widderi, Androsace mathildae and Aquilegia ottonis. 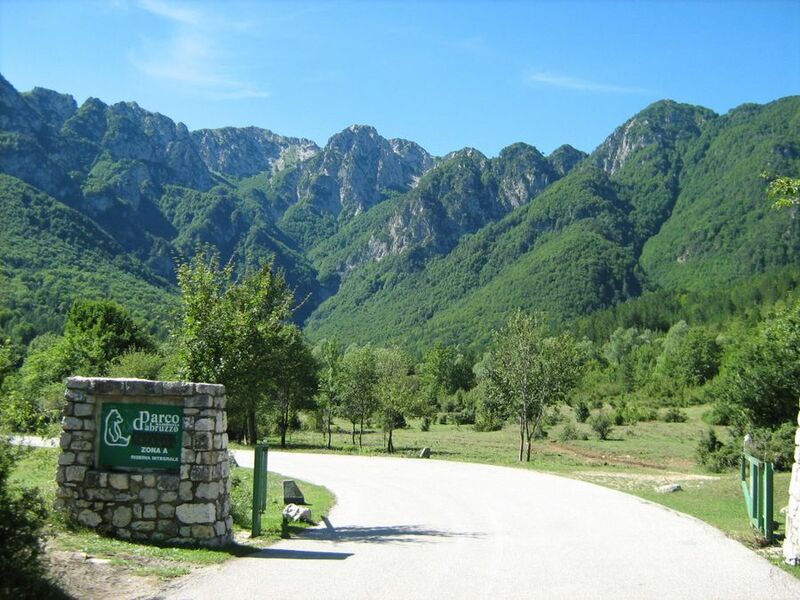 The park can be reached from the high Marsica by taking the Pescina exit on the A25, and from the high Sangro by taking the SS 83, which crosses the park from north to southeast and goes through the tourist towns of Pescasseroli, Opi, Villetta Barrea, Civitella Alfedena, Barrea and Alfedena. From Cocullo, it can be reached by taking the A25 exit and then the SS 479 through the Sagittario Valley and Scanno-Passo Godi. From Lazio, it can be reached by taking the SS 509 through the Forca d’Acero mountain pass. 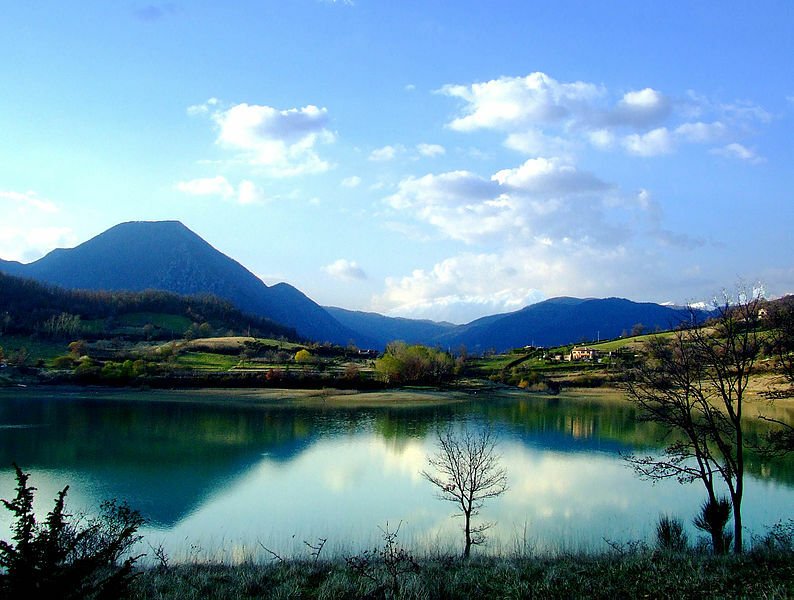 The Sirente-Velino Regional Park is a protected area established in 1989 and located in the province of L’Aquila. 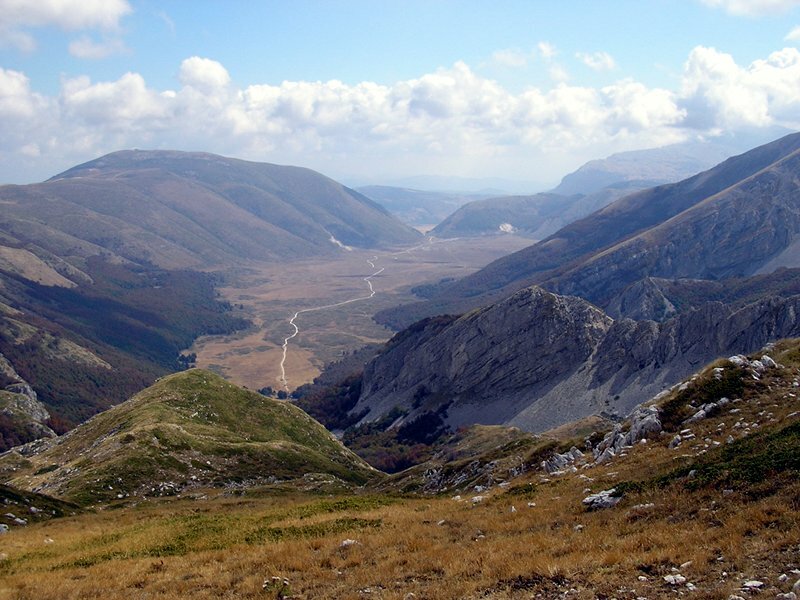 It is the fourth largest such area in Abruzzo, after the national parks of Abruzzo, Lazio and Molise, the Gran Sasso, and the Majella. The name Velino comes from the ancient Marsican word vel, meaning body of water, of which there are many in the area, including some of glacial origin. The park is crossed by the SS 696 road, and the easiest points of access are the towns of Rocca di Cambio, Celano, Massa d’Albe and Secinaro. 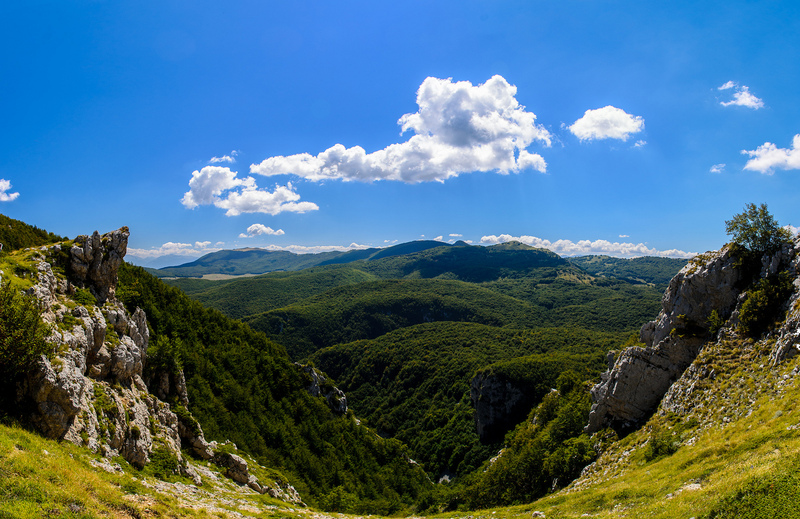 The Majella National Park, established in 1991, is one of Italy’s 24 national parks, and one of the three in Abruzzo that are encompassed within the provinces of L’Aquila, Pescara and Chieti. Its territory is compact in size, mostly clustered around the Majella massif and the Morrone mountains in the west, and around the Pizi and Porrara mountains in the east. The highest peak in the park is Monte Amaro (2793 m). More than 2,100 plant species have been identified within the park boundaries, some of them in loco by the botanists. They represent approximately one third of the flora found in Italy. There are more than 150 animal species, the most notable being the Eurasian dotterel. 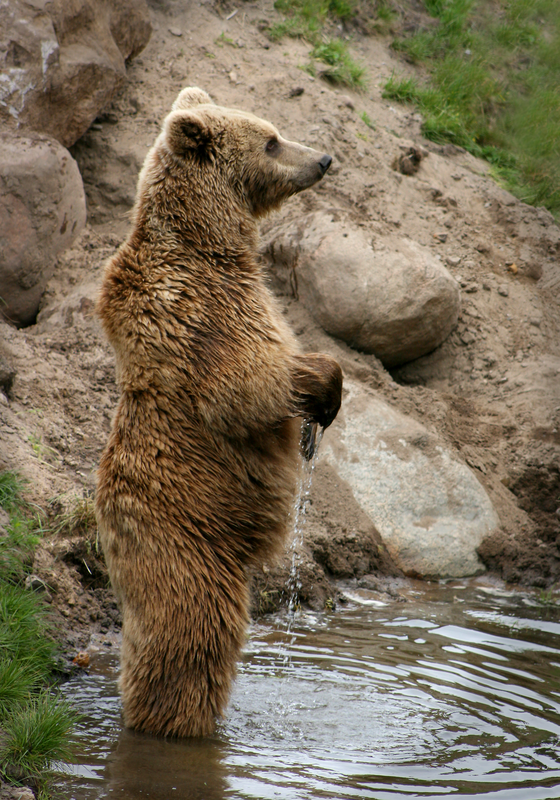 The park encompasses seven nature reserves, as well as sites of cultural interest. The easiest points of access to the park are the city of Sulmona in the west, the town of Pescocostanzo in the south, Guardiagrele in the east, and Lettomanoppello in the north. Questa voce è stata pubblicata in Parchi D'Abruzzo. Contrassegna il permalink.